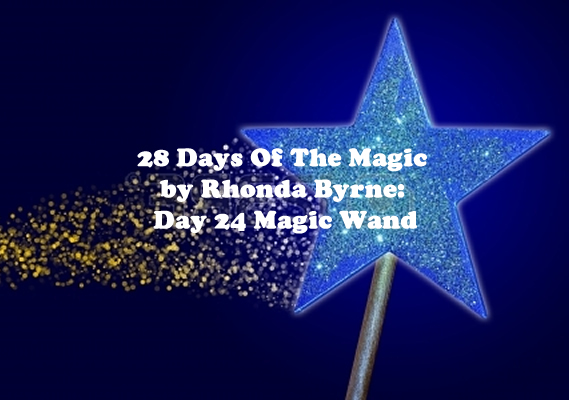 Day 24 of the Magic teaches you how to use the Magic wand to help others. Continue with your daily routine practices. Today like I said you can help others with the knowledge of Magic. To start with choose three people who need help in terms of health, wealth or happiness. If possible collect a photograph of each of them. Hold the photograph in front of you and then close your eyes. For a minute visualize that the person’s health or wealth is completely restored. Then open your eyes and say Thank you for the health and wealth of the person. This video is about my 24th day of this exercise (The Magic Wand). Wave your Magic Wand and say thanks for health, wealth and happiness for other people!